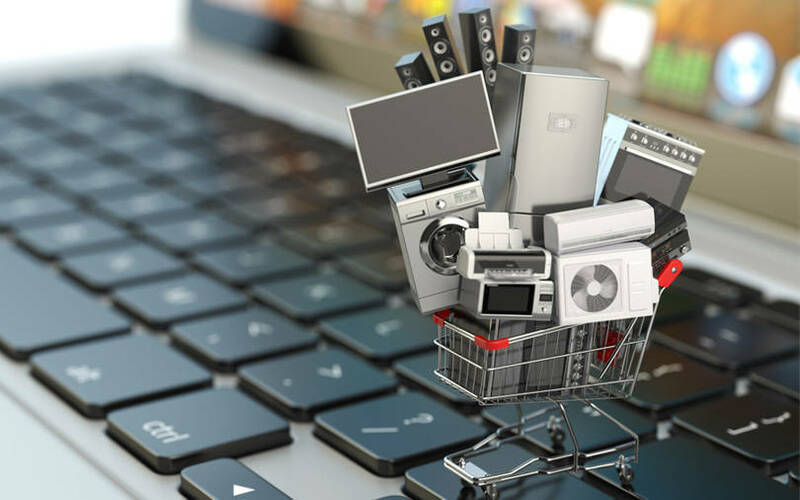 Delhi-based reverse logistics and recommerce company Greendust has decided to pull back its business-to-commerce operations to focus on a business-to-business model, a top executive told TechCircle. Hitendra Chaturvedi, founder and chief executive of Reverse Logistics Company Pvt. Ltd, which operates Greendust, said that the company is moving away from an inventory-led model to a firm focused on technology-enabled services and solutions in reverse logistics. The company made the change around 8-9 months ago and the move is already paying off with some encouraging initial traction, Chaturvedi added. TechCircle observed that the company’s desktop website is already defunct with the product listing categories removed. A revamped website will be launched soon, Chaturvedi said. The company decided to pivot because the B2C model was working capital intensive, Chaturvedi said. “The B2B focus does need substantial investment in working capital,” the founder explained. However, he added that the company will continue to provide liquidation-as-a-service (selling returned and refurbished goods) to its partners without taking inventory ownership. In other words, the company may go back to square one, as a pure-play reverse logistics firm. “When we started, the market was not ready and most people did not know about reverse logistics and e-commerce was nonexistent. It has evolved now, so yes, pure play services,” he said. He added that since Greendust was known as a retail/consumer brand, it was but natural that the move would be talked about as pivot to a more B2B service/solution. By varying estimates, the company has raised $30-50 million in total funding till date, making it the most-funded standalone Indian recommerce platform. Another player in the space Cashify, which competes with Greendust, has raised $17.81 million in total funding, making it the next most-funded startup in the space. According to information available with VCCEdge, the data and financial research platform of News Corp VCCircle, Greendust has raised around $34 million from Lightbox Ventures, Reliance Venture Asset Management, Kleiner Perkins, Sherpalo Ventures, Innoven Capital and Kae Capital among others. Kleiner Perkins has made its past India investments along with Ram Shriram-led Sherpalo Ventures. Greendust was among the six Indian portfolio companies of Kleiner Perkins-Sherpalo bought out by Mumbai-based venture capital firm Lightbox, led by Sandeep Murthy in 2014. In its last known funding round in 2014, Greendust raised $1.88 million in venture debt from Innoven Capital, according to data available with VCCEdge. In August 2014, it was in talks to raise $50 million in its Series B round of funding. The venture was founded in 2009 as a reverse logistics company taking care of the end-to-end reverse logistics process for companies such as retailers, e-commerce firms and original equipment manufacturers. Subsequently, the company also forayed into recommerce by owning and selling refurbished products through its online and offline channels. In this business model, it built and owned inventory. It operated an online shopping site that offered customers and bulk buyers the option to purchase unused, branded open boxed, surplus, overstocked and refurbished products at low prices. The products that the company sold included laptops, mobiles, mobile accessories and home appliances. Amazon, Paytm and LG were among its clientele. “So, rather than taking ownership of inventory and then sell, we (now) provide liquidation as a service to retailers, e-commerce firms and OEMS in the B2B pivot,” Chaturvedi explained. A masters in computer science and an MBA by qualification, Chaturvedi had earlier worked with Microsoft as part of the company’s OEM business in India, information on LinkedIn and Crunchbase shows. In his earlier professional stints, Chaturvedi was part of global management consulting firms AT Kearney and EY. The Indian recommerce sector has seen some companies raise funding while others like Greendust have scaled back or shutdown. In November last year, online media publication Medianama reported that Delhi-based recommerce platform Overcart removed its product listings and was only accepting only bulk orders. In the same month, Delhi-based smartphone refurbishing and resale platform Yaantra raised around $2 million (Rs 15 crore then) in venture debt from alternative investment firm Anicut Capital. In August 2018, Jaipur-based recommerce platform InstaCash raised an undisclosed sum in fresh funding from Singapore-based CompAsia, an information technology refurbishment firm. In June last year, Cashify, an online platform that sells used electronics, raised $12 million (Rs 82.19 crore then) in a Series C round led by Chinese alternative asset management firms CDH Investments and Morningside Group. Greendust Hitendra Chaturvedi Reverse Logistics Company Pvt. Ltd recommerce platform Lightbox Ventures Kleiner Perkins Sherpalo Ventures Reliance Venture Asset Management Ltd.